Powered by Mom is part of the $35 4 Hour flash! Don’t miss out this awesome giveaway it’s gone well in a flash. Only on tonight from 5pm-9pm PST! You get your choice of a $35 Target gift card or Paypal or Amazon how cool is that! $35 Target Gift Card 4-Hour FLASH Giveaway!!! 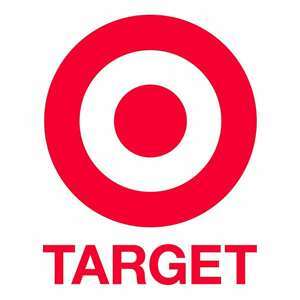 A few AWESOME Bloggers have teamed up to give you this wonderful $35 Target Gift Card! We believe in quick, small, and easy giveaways! Our giveaways only have a FEW entries to fill out and you will know if you WIN in just a couple of hours! WHAT FUN! Good luck on tonight’s giveaway! See you back on Wednesday for another great FLASH giveaway! Congratulations to Zen M. Looks like I missed out on this one. Love those FLASH giveaways though. Keep it up. I like shopping for toys and clothes at target! I like to hit Target up for clearance toys mainly and other clearance deals. Target is not always a first stop for me but I go in occasionally. I like to shop the clearance racks at Target! Kids clothes and easter stuff. I shop for clothing for my 3 kiddos at Target. I like to shop for things for my home at Target. Grandkids clothes, right now Easter candy. Usually paper and laundry product but mostly Hello Kitty things. Basically everything…food, jewelry, clothes, dry goods, make-up, shampoo…more. 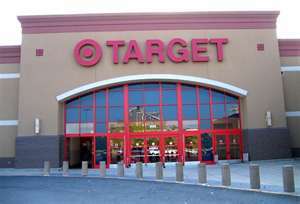 I do not often shop at big box stores but when I do I like to pick Target. We mostly go there for seasonal things as they tend to have a great selection! I like to shop for clothes and household items!! I like shopping their home decor, but I would prefer amazon (saving up for a shark steam mop) thank you for the giveaway!! I shop the produce and deli section of our Target. The main thing I shop at target for is clothes for all the kids! Target clothes last a little longer than others. Our Target just got a good food section, but I usually shop pets, toys and HBA at target. thanks for the giveaway…. wish me luck. I like to go shopping at Target when they are having a sale on little girl clothes. My 10 year old daughter likes their clothes. thank you for the giveaway. I like to shop fort kids clothes at Target. I love clothes shopping at Target. I like to shop for great deals at Target !! Thank you all of you AWESOME Bloggers !! Bless Ya’ll !! I like to buy clothes at Target. Target has great sales on their sodas and love their clearance! I shop at Target for clothes and household items, but I would prefer the Amazon gift card. I like to shop for groceries at Target. I love shopping for things for the kids and grand kids!! By the way when I tried to follow ClippingMoney46 on Twitter, it kept giving me an error message saying “user not found”. I would use this to purchase birthday gifts for my little girl who turns 1 on april 5th!!! I love Target! Especially the dollar section and kids’ clothes!